Rural countryside of Georgia state mixed with breathtaking natural landscapes and easy going pleasure of small places like Serenbe will put anybody’s adventure above all expectations. This amazing country has put all efforts to protect the beautiful rural land and its treasures. 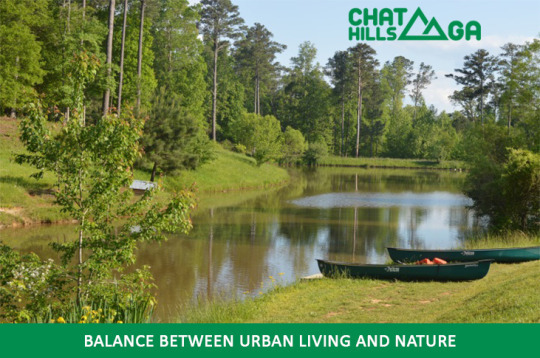 Thanks to this community a sanctuary is created for all those people who want to escape just for a while from bustling city life.This is a so-called laid-back lifestyle which is just 40 minutes away from a major urban center. To this community most important things are optimal physical health and minimal mental stress. As time moves much slower here, memories stay much engraved in mind thanks to having enough time to enjoy all details and little pleasures nobody can’t in urban and fast lifestyle. For example anybody having problems with insomnia will get some good sleep over here. Perfect offer of accommodations for free times like honeymoons, spiritual retreats or just rest and relaxation will make you rest body and soul. As for healthy way of life people here find very important to be active outdoors in measure that even their lectures, films, reading with friends and theater performances are done outdoors. For more sport kind of people there are always choices like bike renting, fitness and yoga classes also performed outdoor to make any connection with nature possible. Even all homes have front porches or sitting areas just outside their homes to interact more with their neighbors. Farm-to-table is also one of the projects in this area which supports three thriving restaurants, organic farms and seasonal farmer markets. All meals during the day offered to all people are made of fresh ingredients from farms with supported agriculture programs. Keeping balance in touch with nature keeps balance we need in our mind and body. Biophilia is something you will hear about when visiting this place. It is a theory about instinctive bond between humans and other living systems. Basic elements like fresh food, fresh air, grass and trees around us became a luxury of which unfortunately we are still not aware enough. So Serenbe and surroundings offer various nature trails in order to show importance of our existence and nature depending. Conserving energy is also one of the greatest aspects to preserve natural treasures in this country. By facilitating solar geothermal and net-zero homes this community has a totally new look at their way of development. Traditional values and the principles of environmental sustainability impact also methods of construction of this place. Instead of unplanned and aggressive building their primary goal is to preserve over 70 percent of the green space. With all these elements to achieve health and wellbeing balance with nature this community created successful and strong place where everything is within walking distance and the world waits along the edges. In order to stop disrupting a beautiful rural area of Georgia with urban sprawl, couple Nygren has put every effort to establish the agrarian community Serenbe 11 years ago. Luckily this couple recognized true importance of this place with its beautiful landscapes and a mix of nature and countryside. Their idea was to create a model of a place that can survive and develop providing healthy and successful life to society while preserving more than 70 percent of green space. Connection with nature and between people in a place where multiple generations would live close together creating conditions to achieve fulfilling and balanced life was a foundation of his dream. Serenbe today, as a real hidden gem, presents home for nearly 3,000 people in more than 450 residents which are focused on producing fresh food, save fresh air and focus on well-being how of humans same for nature. Successful managing of a 25-acre organic farm with included certain agriculture program and edible landscaping produces great fresh food as one of the main assets of Serenbe. Miles of nature trails with blueberry bushes along the side are spread over acres of preserved green surfaces and forests connecting all homes and properties in this area. One of the important elements which make a focus of this place beside health, wellbeing, agriculture nourishment and nature awareness is arts for inspiration. There are annual cultural festivals that include music events, films and lectures, art galleries promoting, spa and trail riding with some needed boutique shopping. Even their theater Serenbe Playhouse is having productions performed outdoors to be closer to nature. Artist-in-residence program in this institution brings many musicians, painters, novelists and actors all over the country. As Georgia is No.1 filming location in the United States this place is main setting and accommodation for the project and crew. All homes in Serenbe are built according to the EarthCraft project which is a green building program which demonstrates how energy costs can be even 30 percent below those of a typical home. Serenbe has taken new homes to the next level while preserving energy. Net zero energy use produces as much energy as they consume thanks to renewable energy resources. One of the best ways Serenbe uses to reduce overall demand for energy in the home and produces enough is geothermal heating and cooling system. There are no limits for anybody in this town. The offer has developed so well and it is improving constantly providing various services for all ages. Let’s be honest, who wouldn’t like to live, and not just visit, a progressive, pedestrian-oriented village with great theatre company, perfectly developed organic farms and beautiful spa locations. Besides this complex offer it still keeps the simple life practice surviving which showed as highly addictive to guests. No matter how many new commercial businesses and homeowners come to this place it will be forever focused to preserve this unique link to the landscape where it was born to protect and save. 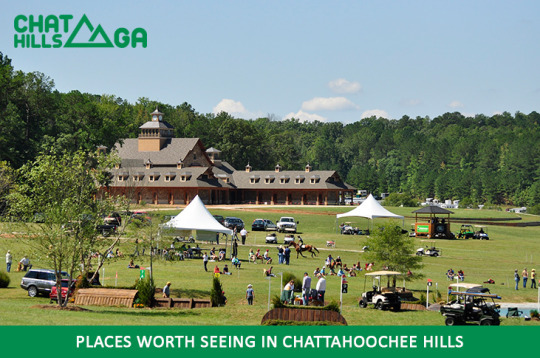 In the shades of Chattahoochee Hill Country are incredible landscapes and nature lands where most interesting community Serenbe can be found. Just off I-85, situated south of the Atlanta you may bump into some farmhouses surrounded by great amounts of fresh air. 1000 acres of this country are fulfilled not only with farmhouses but also some specific places with a certain purpose. It is a village with great restaurants, theater, schools, stores, festivals and even a hotel. This all just makes this country a must-visit place for anybody passing by. Renting a bike over here just makes everybody’s adventure around this place much more enjoyable and free. No matter the style you prefer while riding you will be provided with high-quality products and top-gear service while hanging out with the best-experienced crew. This staff will help you in any way possible to get the most out of your ride through this amazing place. Getting close to nature while passing through some paths you would be notable with a car is a unique experience. You can never know where many of these footpaths will end. Providing shows nobody ever seen for a wide range of audience of all ages in order to reduce barriers between audience and performers. By producing bold new works and reinvented classics they will show anybody amazing connection between community, art and nature. Using recycled materials, minimizing production’s waste and performing all productions outdoors they will explain in the best way a commitment to the environment and social responsibility of humans. With great and very experienced chef of the kitchen which name we will let you find out in person, you will find the greatest offer of cupcakes and pastry ever. Among these specialties there is a great offer of quality farm-to-table cuisine. Also get information about them on their Facebook because flavors of these cupcakes vary daily, and if you do not make it don’t worry, regrets don’t exist here. Is recommendation for everybody especially great meat gourmands which may try here amazing fried chicken lunch made on weekends or some other specialties from the menu which is different for every day and depends on the season. Original farm-to-table restaurant with regional cuisine using organic ingredients from own garden makes most intimate family dining atmosphere. Making reservations would be best in order to assure your special place in this food heaven.